Alexandria, Virginia (March 2019) –– Edmond Scientific Company (ESC) was selected to support the Army Research Office (ARO) to provide complex scientific, technical and analytical research and development (R&D) support. ARO’s Scientific Services Program (SSP) enables all federal government organizations to obtain quick-reaction, specialized R&D services for the resolution of specific problems involving research, development, or on-going scientific actions requiring studies, analyses, evaluations, and assessments. ESC is providing R&D support across fourteen different scientific domains to include: Chemical Sciences, Life Sciences, Materials Science, Physics, Medical and Health Sciences, Electronics, Computing Sciences, Environmental Sciences, Mathematics, Engineering Sciences, Modeling and Simulation, Network Sciences, Psychology, and Social Sciences. The SSP is open to university and small researchers to participate as subcontractors to ESC, and help evaluate and mature emerging technologies that improve our national defense. For more information on how to use SSP for your federal agency, or to participate as a researcher or principle investigator, please contact Mr. Greg Bowen at gbowen@edmondsci.com, or telephone 844-294-8944. Alexandria, Virginia (December 2018) –– Edmond Scientific Company (ESC) is pleased to announce award of the SeaPort- Next Generation (SeaPort-NxG) contract from the Naval Surface Warfare Center (NSWC) Dahlgren. Under the 10-year contract (2019-2029), ESC will continue its work supporting the U.S. Navy through task orders issued by the Naval Sea Systems Command, Space and Naval Warfare Systems Command, Naval Supply Systems Command, Military Sealift Command, Naval Facilities Command, Office of Naval Research, or the United States Marine Corps. ESC will provide services that potentially span the entire spectrum of mission areas and technical capabilities supported by the Department of the Navy (DON) ordering activities. Engineering services consists of supporting the application of engineering disciplines to technically support the research and development of new and existing Naval capabilities and systems, technically support development of significant alterations to existing systems, support integration and interface of existing equipment or software into different applications or platforms to support the warfighter, and support evaluation of foreign or non-developmental systems, equipment, and technologies. This category also includes all support required within the area of environmental engineering of U. S. Navy weapon systems and base related infrastructure. Information Management Services consists of providing information system software analysis, requirements definition, design, development, test, modification, installation, implementation, quality assurance, training, and documentation to meet the evolving data storage and reporting needs of programs, analyze existing IT and IS databases, web sites, and IT applications and recommend new or improved interfaces and improved management tools that meet new requirements, or improve management effectiveness and efficiency. Perform maintenance and technical support for Local Area Networks (LAN) and Wide Area Networks (WAN) that are outside the cognizance of the Navy Marine Corps Intranet (NMCI). Modify, implement and maintain web based information systems and links. Develop website structure, prepare documentation for population, implement and maintain web sites. Alexandria, Virginia (November 2018) –– Edmond Scientific Company (ESC) is pleased to announce its award of an Indefinite Delivery, Indefinite Quantity (IDIQ) contract under the Joint Enterprise Omnibus Program, Engineering and Technical Support (JE-OPETS) contract vehicle. ESC will provide resources to support the Joint Program Executive Office for Chemical, Biological, Radiological, and Nuclear Defense (JPEO-CBRND) Headquarters, Directorates and five Joint Project Managers (JPMs) in the Business and Analytics, Engineering and Technology, and Information Technology (BEI) business areas as a prime contractor. This full and open contract has a ceiling of $249 million and an ordering period of a 5-year Base Period and one 1-year Option Period. Under this contract, ESC will provide support BEI professional support, as required, to assist the JPEO-CBRND as the Total Life cycle Systems Manager for the Chemical and Biological Defense Programs (CBDPs) within the Department of Defense (DoD). Performance shall take place in multiple cities in the Continental United States (CONUS) and Outside the Continental United States (OCONUS), including but not limited to the US locations of Edgewood Area of Aberdeen Proving Ground (APG), Maryland; Ft. Detrick, Maryland; Ft. Belvoir, Virginia; Stafford, Virginia; San Diego, California; MacDill AFB, FL; Dahlgren, VA;, Boston, MA; Camp Lejeune, NC; Camp Pendleton, CA; Ft. Leonard Wood, MO; Ft. Sam Houston, TX, and; Albany, GA.
JPEO-CBRND manages a dynamic and diverse portfolio of critical warfighting capabilities that require cohesive and innovative total life cycle systems management approaches. Due to the schedule-driven nature and criticality of solutions to the Warfighter, a cohesive strategy for rapid assessments, evaluation, fielding, New Equipment Training (NET), sustainment, and continuous product improvement activities are essential to the JPEO-CBRND support strategy to its customers. Chantilly, Virginia (October 2017) – Edmond Scientific Company (ESC) was awarded its patent for protecting controlled classified and unclassified information using Attribute-Base Access Control (ABAC) technology to restrict access to unauthorized users. Using tuned vocabularies for a particular industry or application, the Security Labeling System (SLS) marks the data stream for enforcement, and allows either the masking or redaction of information to unauthorized users in real-time. For Controlled Unclassified Information (CUI), this solves the problem of how to identify and apply markings to controlled documents and data. Chantilly, Virginia (November 2017) – Edmond Scientific Company (ESC) received an award for research and development (R&D) of Chemical, Biological, Radiological, Nuclear, and Enhanced/Explosive (CBRNE) defense systems, capabilities, equipment, supplies and material; and development and production of future CBRNE defense capabilities. The Joint Enterprise Research, Development, Acquisition and Production/Procurement (JE-RDAP) contract covers all phases of DOD CBRNE defensive systems development, from Materiel Development Decision (MDD) through Materiel Solution Analysis Phase, Technical Maturation/Risk Reduction (TMRR) Phase, Engineering and Manufacturing Development (EMD) Phase, and the Production and Deployment (P&D) Phase. The contract also covers not just research, design, development, and manufacture of these systems, but integration of systems/capabilities with both CBRNE and non-CBRNE systems and information systems. For more information, please contact us. For scientific staff, please send your resume through our career portal. ESC has released the latest version of its Security Labeling Service (SLS) as a cloud-based, Software as a Service (SaaS) application for use by Health Information Exchanges (HIEs), Network Providers, and other Covered Entities to detect and protect sensitive substance abuse, mental health, and infectious disease information–known as 42 CFR Part 2 data. The cloud-based SLS receives CDAs, CCDAs, and HL7v2 records, detects sensitive data in the structured and unstructured data fields, and returns either the results to the sender or a transformed record for proper processing according to HL7 standards and specifications. The result is that HIEs and other entities can now accept and process sensitive Part 2 records knowing that the information is identified and protected. Data protections can be implemented either at the document level with a high-water mark, or at the data element level using masking or redaction per the organizational policies of the senders and recipients. The ESC business model allows transactional billing using a simple credit card. For more information, integration questions using our APIs, or a demonstration, please contact us at 703-955-7722. June 2017 – Edmond Scientific Company (ESC) is the recipient of a 2017 Federal Health Information Technology (HIT) Innovation Award for its role in advancing HIT. The FedHealthIT Innovation Awards, held on June 6th, comprised more than 250 federal health leaders from government and industry to recognize 25 of the top federal health programs and teams behind innovation efforts at Veterans Affairs, Military Health, Health and Human Services, and Centers for Medicare & Medicaid Services. Nominated and chosen by their peers, the awardees stand out based on their willingness to take on achievable risk, and more importantly, to deliver real results in support of their mission. ESC won the award based upon its work leading research and development (R&D) activities in the Department of Veterans Affairs (VA) Emerging Health Technology Advancement Center (EHTAC). EHTAC evaluates and advances emerging technologies for application in the VA to improve clinical outcomes, efficiency, performance, decision-making, and security and privacy. EHTAC is a lab environment used to conduct investigations of emerging technologies or trends expected to mature within a 5-year window. A key focus is leading VA interoperability pilots and demonstrations. Through EHTAC, ESC has led the development and transition of technologies into enterprise capabilities in the VA for such capabilities as enabling patient choice and control over the sharing of their health data through the enforcement of consent, runtime data segmentation and protection of structured and unstructured sensitive information in documents and data flows, data tagging capabilities to map ontologies to clinical decision making systems, advancement of role-based and attribute-based access control architectures to maximize capabilities of enterprise commercial security products purchased by the VA, and federated security architectures that provide for the synchronized application of access control rules and policies across organizational boundaries and disparate systems and protocols. In short, ESC R&D through EHTAC has led to greater empowerment and choice for veterans as patients over their care, and has provided greater and finer privacy and protection of their information in a large health enterprise such as the VA, without impeding information sharing and speed of access needed to deliver care. 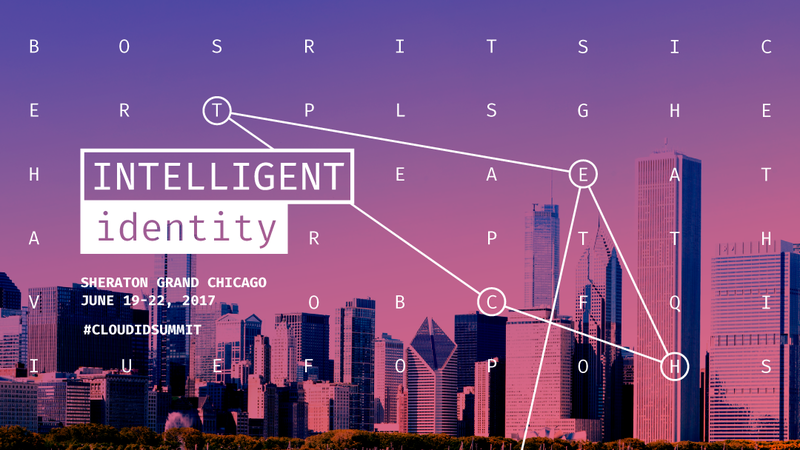 Chicago, IL — Edmond Scientific Company (ESC) will present at the Cloud Identity Summit 2017 in Chicago in June (#cloudidsummit). The conference will focus on “Intelligent Identity” and ESC’s presentation topic will be “Identity in Healthcare”. ESC will discuss our ability to provide federated identity in cloud architectures for integrated health practices and health exchange utilizing cloud infrastructure. ESC will also discuss our bridging technology that allows us to bridge authentication systems to provide authorization decisions and access control based upon a unified identity ecosystem. Baltimore, MD — Edmond Scientific Company (ESC) researchers will present their latest findings to the scientific community, and shared experiences with their colleagues at the annual meeting of the Society of Toxicology (SOT) in Baltimore in March 2017. ESC supported research in neurodegenerative disorders and injury, and integrative physiology and behavior. ESC research reported on the effects of toxic exposure in adult and aged populations on seizure activity and neuronal loss, and related it to the loss of hippocampal interneurons and reduced inhibition which may lead to increased susceptibility to the development of seizures in an aged population. Other research related to researching better treatments against pharmaco-resistant seizures using combinations of drugs aimed at reversing the effects of maladaptive receptor trafficking. Funded by the National Institutes of Health (NIH), the research was performed to reduce the extensive neuropathology and long-term performance deficits of uncontrolled seizures as a result of exposure to toxic Chemical Warfare Nerve Agents (CWNAs). However, the research also has direct relevance to other aged-related medical research areas that focus on neuronal loss and neurotoxicity due to natural and artificial causes.